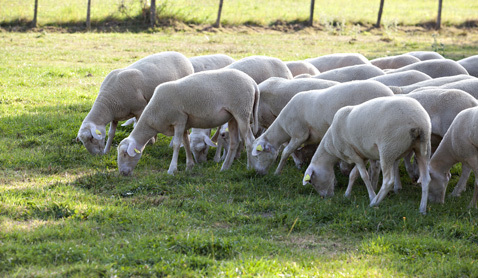 Over the year, ROM selection can suggest young females and ewes flocks issued from the best breeders, coming out from selection schemes. 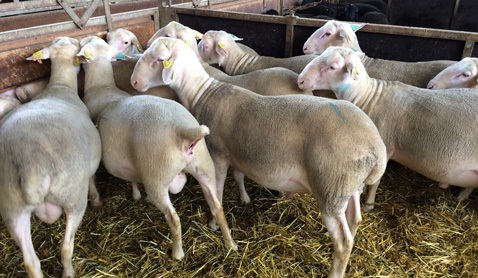 We can suggest rams issued from our selection centers where we test over 700 young rams every year. ROM selection breeders come mostly from Auvergne Rhône Alpes, Occitany and New Aquitaine regions. These are mountainous region where plains areas are represented, showing by that way all the breeding systems available.We can find them all over France as well as in Eastern Europe (Hungary, Romania, Poland) as in Central Asia (Iran) in particular. ROM selection hardy breeds are proving their resistance to difficult climatic and feeding conditions. Thanks to their prolificacy and out of season breeding ability they can produce lambs all over the year inside most of breeding systems. 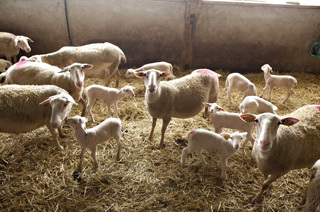 Ewes are really maternal with a quiet nature. Used in pastoral systems, they are good walkers. Maternal qualities are reinforced by outstanding milk value as well as conformation both into purebred systems or crossbred ones. So breeders can produce high quality lambs all over the lamb or when they decide it. Note that hardy rams are actives from january to December ! We can suggest females out of our best breeders, rams from station center and frozen AI.